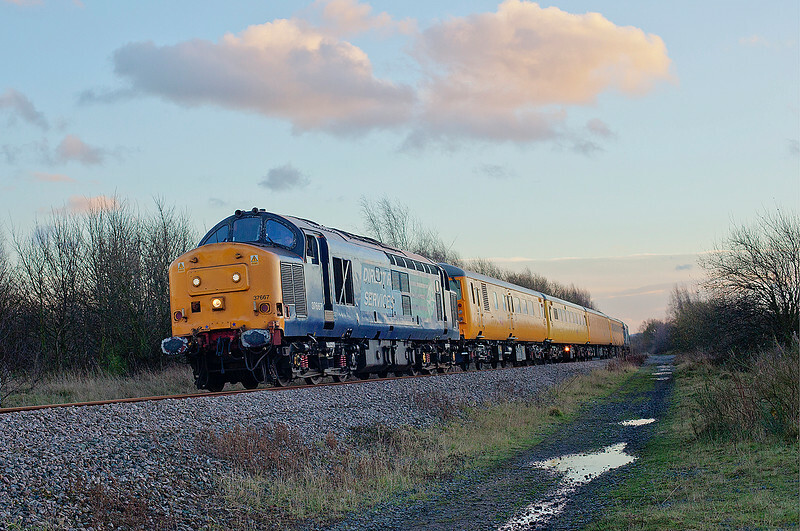 37667+37610 are seen passing Royston just south of Pools Lane after departing Monk Bretton Loop with a 1Q05 11:44 Tees Yard to Derby RTC on 12th December 2014. I was very nearly bowled by the wife on this shot as despite giving her adequate warnings were still in MeadowHell car park at 14:20! A very fast car home to drop her off and pick up my camera for an equally fast dash down to Royston, only to get bowled after all by the weather. The sun just dipped behind a bank of cloud seconds before I heard the growl! A mile up the line at Cold Hiendly Neil Harvey https://www.flickr.com/photos/neil_harvey_railway_photos/)got a cracker of a shot!